It’s a life-time of high impact on the world. Thrive in your business, change your mind, change your life. Then pay it forward and join our movement. This is why we have pay-it-forward initiatives as part of our adventure. When you invest in your future and attend our events or buy a product, you are also helping a movement of helping shift the consciousness of the planet, helping others have opportunities they never had before, and much more. 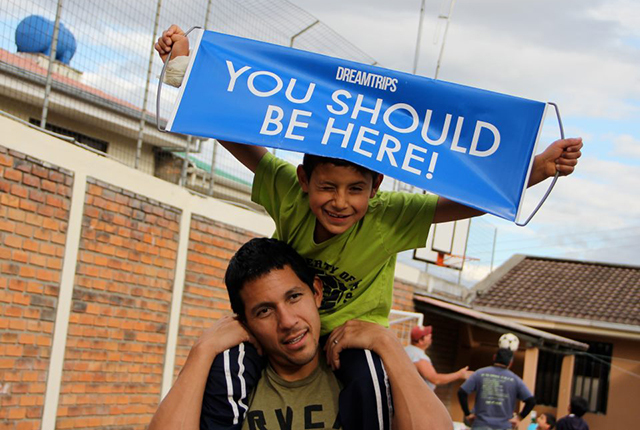 My father, my hero, was born in Ecuador and orphaned at the age of 8 years old. Had to grow up quickly and carried luggage on the the ferry for tips and lived in boats that were docked. 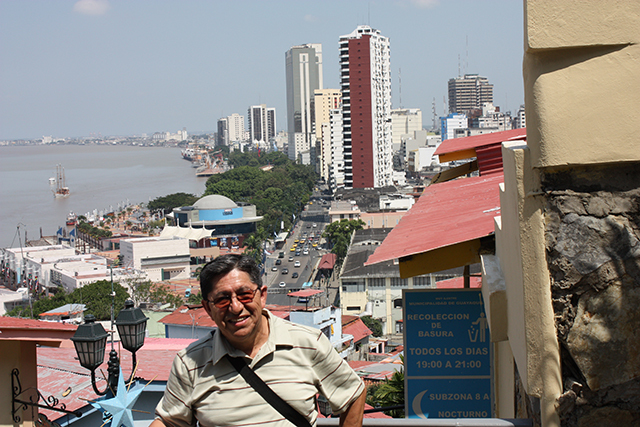 Many days he didn’t have any money for food and would dive in to the river in Guayaquil and pull Oysters off the reef and eat that for breakfast, lunch and dinner. He had a dream to come to America one day to live the American dream, buy a home and raise a family in the land of opportunity. He made his way to New York where he became a bus boy and dishwasher by day and went to school at night to learn English. He was proud to be an american and took advantage of the freedom and various opportunities to advance. He quickly learned to add value to every restaurant he worked for and became a master deli man. He thrived and treated each deli as if he was the owner. When he moved to California he accomplished his dream. He and my mom bought a house in Burbank California where we lived for many years. He learned to ride a motorcycle so he could save money on gas. One day on his way to work he was tragically struck by a semi truck while riding his motorcycle. He died instantly. Our whole family was shocked and horrified. Our hero, our rock was gone. We asked why? why him? why now? We also started to ask what’s the lesson? what’s the gift? We truly believe that God always provides and the gift came in the form of a church in my dad’s favorite town in Ecuador, Cuenca. They were struggling to raise the funds to start on orphanage right around the same time my father passed. Thanks to many people and the resources that came we were able to raise enough money to help our orphanage get off the ground and “La Esperanza” was born. We were able to start, build and sustain it in my fathers name. His legacy and lessons will live on. 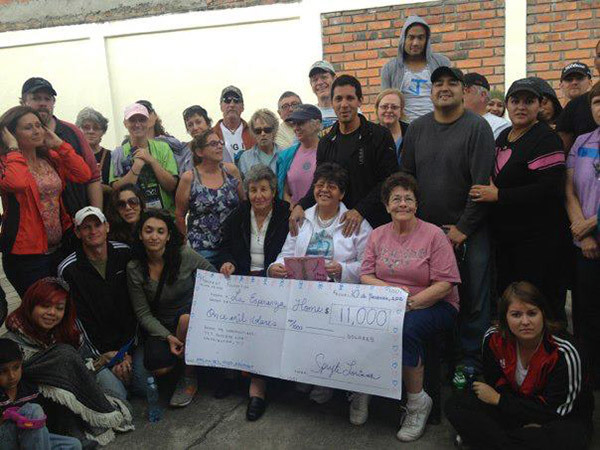 Each year we travel to Cuenca Ecuador to continue the sustainability of our orphanage with money, time and love. It’s been the greatest blessing. At the peak we had 3 homes with 65 children that we have provided support and a way of life they would not have received. The gift of my fathers death? God needed one soul up in heaven in order to save 65 here on earth. Thanks to all who have contributed and continue to support our cause. This is just the beginning of a big mission to change the world and leave an impact and legacy. 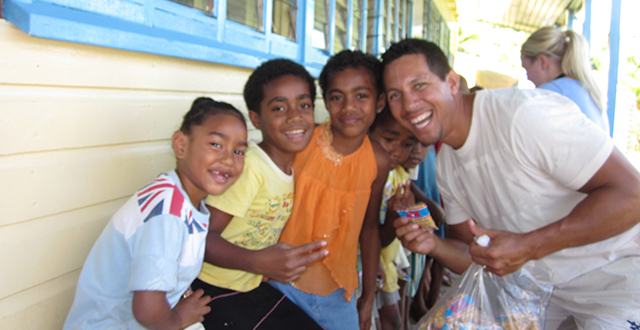 From this was born the first Voluntour with an International Extreme Make-over. We rebuild the orphanage in three days and the children were left with a sparkling new home, a donation for an oven to self-sustain and hold bake sales in the neighborhood, and a new look at life. One of confidence, joy, and love.